History as you've never experienced it. 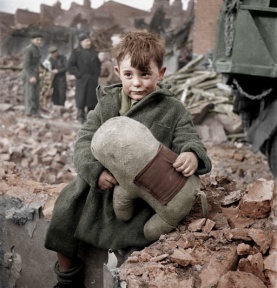 These artists took famous historic photos and colorized them using digital colorization techniques and a whole lot of talent, breathing new life into them. These amazing photo retouches help bring these historic images to life, and are made incredibly stunning by the addition of color. 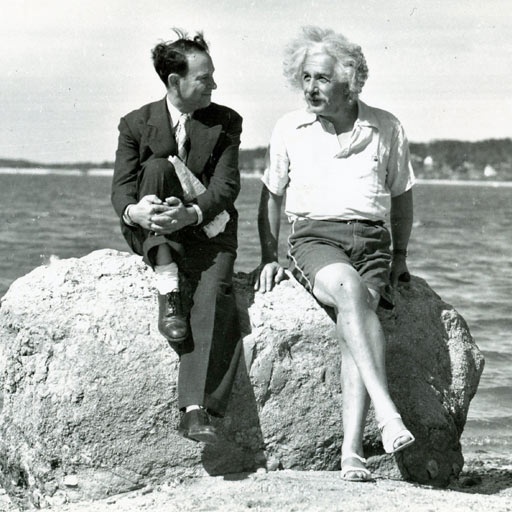 The greatest mind to ever live is almost exclusively seen in black and white. Getting a picture of him in dad-shorts and sandals, relaxing by a lake, is a fairly surprising picture. Colorized, it gives Einstein a jocular, calm appearance, chatting with a local man – David Rothman – he had befriended. 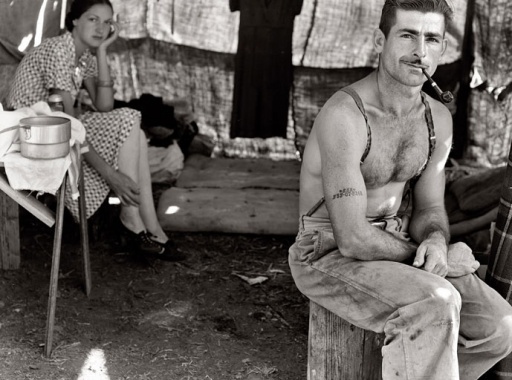 Yet another Dorothea Lange picture, this is from the same portfolio of photographs that the Old Gold picture is from. Lange had a certain way of framing pictures and capturing moments that was unique, and its why her photographs above all others of the time stick with us today. Colorized by Mads Madsen, the process makes the pattern of the woman's shirt pop, while giving even more depth to the man in the front. Originally done by famed photographer Dorothea Lange, Jordan J. Lloyd tracked down the originals of the signs in the photographs for colorization to get the exact colors right. 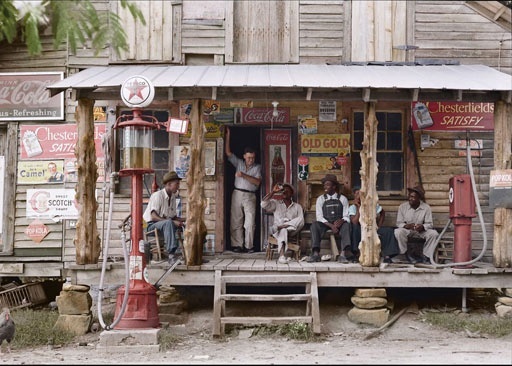 For other parts, he analyzed the colors of more recent photographs – the store existed well into the times of colorized photographs, but no one was ever able to capture it quite like Lange did in black and white. Given the era of the photograph – taken in 1939, in Charleston, South Carolina – the colorization highlights the white store owner conversing with the African-American customers, a rarity at that time and place. British writer G.K. Chesteron wrote "The true soldier fights not because he hates what is in front of him, but because he loves what is behind him." 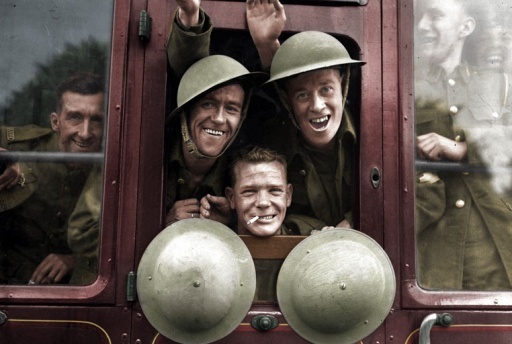 The British troops, captured in a moment of jocularity and bawdiness, did not know just what level of horrors awaited them, but they knew why they were going. Colorized by Reddit user BenAfleckIsAnOkActor, using the known colors of the uniforms, the process gives depth to the picture as a whole, providing detail to the faces of the young soldiers. 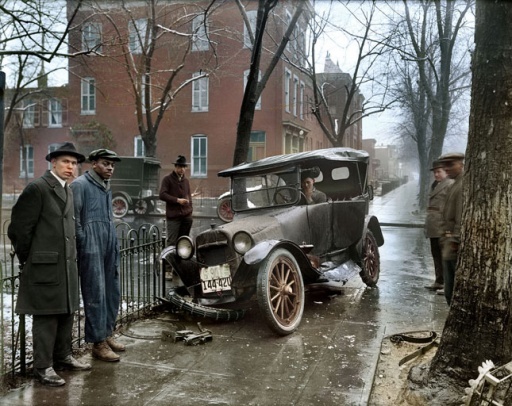 Auto wreck in Washington D.C.
As soon as there were automobiles, there were auto accidents. This picture, taken shortly after one by an unknown photographer and later colorized by Sanna Dullaway, demonstrates the perils of the early days of travel by vehicle. The colors bring out the slick wheels and icy streets much more than in the black and white original, making it pretty easy to figure out the reason – and 80 years later, most drivers still haven't figured out how to drive on an icy road.